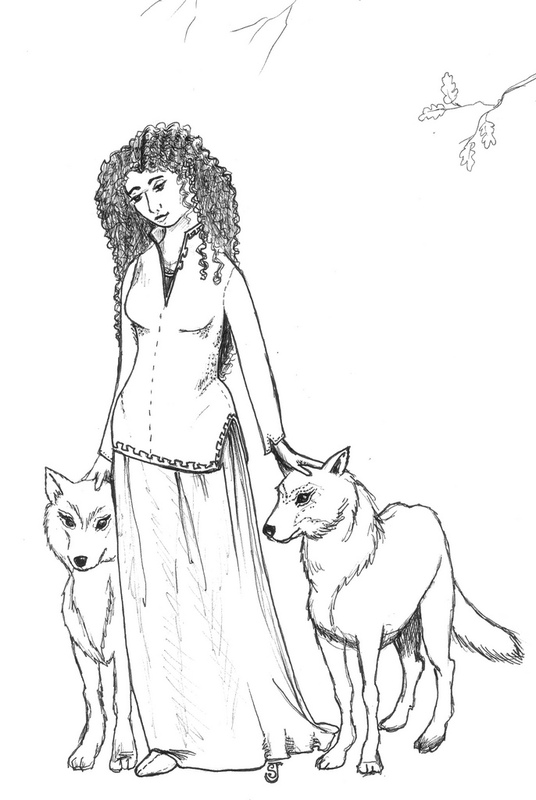 I wanted to have illustrations in Tinna's Promise... I wanted to include a map as many Fantasy novels have... but it wasn't an option the first time. This time, it is; and my BFF has offered to provide me with one illustration for each chapter of Tinna's Might, as well as a modified version of the map of Oromoii. Abigail's cover art is a wonderful frame in which to place the story... S's illustrations will act as the highlights. She presented me with two images to begin with, and I am so excited! 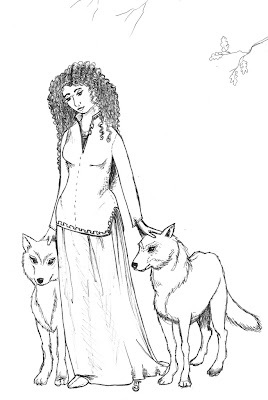 In Tinna's Promise, she is venturing out to get a puppy, something the village never had before... Now, years later, she enters the scene with two large wolf-dogs in tow. She has mature and has acquired more elegance these days. Jestin picks a losing fight. Jestin is restless and impulsive soul--and because of his strange sense of honour and entitlement, he gets himself into a fray with someone who outmatches him by far. Avria, Tinna's daughter, is hardly impressed.